For other uses, see The Jungle Book (disambiguation). The stories were first published in magazines in 1893–94. The original publications contain illustrations, some by the author's father, John Lockwood Kipling. Rudyard Kipling was born in India and spent the first six years of his childhood there. After about ten years in England, he went back to India and worked there for about six-and-a-half years. These stories were written when Kipling lived in Naulakha, the home he built in Dummerston, Vermont, in the United States. There is evidence that Kipling wrote the collection of stories for his daughter Josephine, who died from pneumonia in 1899, aged 6; a first edition of the book with a handwritten note by the author to his young daughter was discovered at the National Trust's Wimpole Hall in Cambridgeshire, England, in 2010. The tales in the book (as well as those in The Second Jungle Book, which followed in 1895 and includes five further stories about Mowgli) are fables, using animals in an anthropomorphic manner to teach moral lessons. The verses of "The Law of the Jungle", for example, lay down rules for the safety of individuals, families, and communities. Kipling put in them nearly everything he knew or "heard or dreamed about the Indian jungle". Other readers have interpreted the work as allegories of the politics and society of the time. 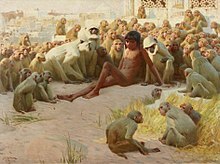 In a letter written and signed by Kipling in 1895, Kipling confesses to borrowing ideas and stories in the Jungle Book: "I am afraid that all that code in its outlines has been manufactured to meet 'the necessities of the case': though a little of it is bodily taken from (Southern) Esquimaux rules for the division of spoils," Kipling wrote in the letter. "In fact, it is extremely possible that I have helped myself promiscuously but at present cannot remember from whose stories I have stolen." Kipling lived in India as a child, and most of the stories[a] are evidently set there, though it is not entirely clear where. The Kipling Society notes that "Seonee" (Seoni, in the central Indian state of Madhya Pradesh) is mentioned several times; that the "cold lairs" must be in the jungled hills of Chittorgarh; and that the first Mowgli story, "In the Rukh", is set in a forest reserve somewhere in northern India, south of Simla. "Mowgli's Brothers" was positioned in the Aravalli hills of Rajasthan (northwestern India) in an early manuscript, later changed to Seonee, and Bagheera treks from "Oodeypore" (Udaipur), a journey of reasonable length to Aravalli but a long way from Seoni. Seoni has a tropical savanna climate, with a dry and a rainy season. This is drier than a monsoon climate and does not support tropical rainforest. Forested parks and reserves that claim to be associated with the stories include Kanha Tiger Reserve, Madhya Pradesh, and Pench National Park, near Seoni. However, Kipling never visited the area. The book is arranged with a story in each chapter. Each story is followed by a poem that serves as an epigram. Mowgli's Brothers A boy is raised by wolves in the Indian jungle with the help of Baloo the bear and Bagheera the black panther, who teach him the "Law of the Jungle". Some years later, the wolfpack and Mowgli are threatened by the tiger Shere Khan. Mowgli brings fire, driving off Shere Khan but showing that he is a man and must leave the jungle. "Hunting-Song of the Seeonee Pack" The story has been published as a short book: Night-Song in the Jungle. Kaa's Hunting During the time Mowgli was with the wolf pack, he is abducted by the Bandar-log monkeys to the ruined city. Baloo and Bagheera set out to rescue him with Kaa the python. Kaa defeats the Bandar-log, frees Mowgli, and hypnotises the monkeys and the other animals with his dance. Mowgli rescues Baloo and Bagheera from the spell. "Road Song of the Bandar-Log"
Tiger! Tiger! Mowgli returns to the human village and is adopted by Messua and her husband, who believe him to be their long-lost son. Mowgli leads the village boys who herd the village's buffaloes. Shere Khan comes to hunt Mowgli, but he is warned by Gray Brother wolf, and with Akela they find Shere Khan asleep, and stampede the buffaloes to trample Shere Khan to death. Mowgli leaves the village, and goes back to hunt with the wolves until he becomes a man. "Mowgli's Song" The story's title is taken from William Blake's 1794 poem "The Tyger". The White Seal Kotick, a rare white-furred fur seal, sees seals being killed by islanders in the Bering Sea. He decides to find a safe home for his people, and after several years of searching as he comes of age, eventually finds a suitable place. He returns home and persuades the other seals to follow him. "Lukannon" Many names in the story are Russian,[b] as the Pribilof Islands had been bought (with Alaska) by the United States in 1867, and Kipling had access to books about the islands. Rikki-Tikki-Tavi An English family have just moved to a house in India. They find Rikki-Tikki-Tavi the mongoose flooded out of his burrow. A pair of large cobras, Nag and Nagaina, attempt unsuccessfully to kill him. He hears the cobras plotting to kill the father in the house, and attacks Nag in the bathroom. The sound of the fight attracts the father, who shoots Nag. Rikki-Tikki-Tavi destroys Nagaina's eggs and chases her into her "rat-hole" where he kills her too. "Darzee's Chaunt" This story has been published as a short book. Toomai of the Elephants Toomai's father rides Kala Nag the elephant to catch wild elephants in the hills. Toomai comes to help and risks his life throwing a role up to one of the drivers. His father forbids him to enter the elephant enclosure again. One night he follows the elephant hunters, and is picked up by Kala Nag; he rides into the elephants' meeting place in the jungle, where they dance. On his return he is welcomed by both hunters and elephants. "Shiv and the Grasshopper" This story has been published as a short book, and was the basis of the 1937 film Elephant Boy. Many of the characters (marked *) are named simply for the Hindi names of their species: for example, Baloo is a transliteration of Hindi भालू Bhālū, "bear". The characters (marked ^) from "The White Seal" are transliterations from the Russian of the Pribilof Islands. The early editions were illustrated with drawings in the text by John Lockwood Kipling (Rudyard's father), and the American artists W. H. Drake and Paul Frenzeny. The book has appeared in over 500 print editions, and over 100 audiobooks. It has been translated into at least 36 languages. Critics such as Harry Ricketts have observed that Kipling returns repeatedly to the theme of the abandoned and fostered child, recalling his own childhood feelings of abandonment. In his view, the enemy, Shere Khan, represents the "malevolent would-be foster-parent" who Mowgli in the end outwits and destroys, just as Kipling as a boy had to face Mrs Holloway in place of his parents. Ricketts writes that in "Mowgli's Brothers", the hero loses his human parents at the outset, and his wolf fosterers at the conclusion; and Mowgli is again rejected at the end of "Tiger! Tiger! ", but each time is compensated by "a queue of would-be foster-parents" including the wolves, Baloo, Bagheera and Kaa. In Ricketts's view, the power that Mowgli has over all these characters who compete for his affection is part of the book's appeal to children. The historian of India Philip Mason similarly emphasises the Mowgli myth, where the fostered hero, "the odd man out among wolves and men alike", eventually triumphs over his enemies. Mason notes that both Rikki-Tikki-Tavi and The White Seal do much the same. The novelist Marghanita Laski argued that the purpose of the stories was not to teach about animals but to create human archetypes through the animal characters, with lessons of respect for authority. She noted that Kipling was a friend of the founder of the Scout Movement, Robert Baden-Powell, who based the junior scout "Wolf Cubs" on the stories, and that Kipling admired the movement. Ricketts wrote that Kipling was obsessed by rules, a theme running throughout the stories and named explicitly as "the law of the jungle". Part of this, Ricketts supposed, was Mrs Holloway's evangelicalism, suitably transformed. The rules required obedience and "knowing your place", but also provided social relationships and "freedom to move between different worlds". Sandra Kemp observed that the law may be highly codified, but that the energies are also lawless, embodying the part of human nature which is "floating, irresponsible and self-absorbed". There is a duality between the two worlds of the village and the jungle, but Mowgli, like Mang the bat, can travel between the two. The novelist and critic Angus Wilson noted that Kipling's law of the jungle was "far from Darwinian", since no attacks were allowed at the water-hole, even in drought. In Wilson's view, the popularity of the Mowgli stories is thus not literary but moral: the animals can follow the law easily, but Mowgli has human joys and sorrows, and the burden of making decisions. Kipling's biographer, Charles Carrington, argued that the "fables" about Mowgli illustrate truths directly, as successful fables do, through the character of Mowgli himself; through his "kindly mentors", Bagheera and Baloo; through the repeated failure of the "bully" Shere Khan; through the endless but useless talk of the Bandar-log; and through the law, which makes the jungle "an integrated whole" while enabling Mowgli's brothers to live as the "Free People". The academic Jan Montefiore commented on the book's balance of law and freedom that "You don't need to invoke Jacqueline Rose on the adult's dream of the child's innocence or Perry Nodelman's theory of children's literature colonising its readers' minds with a double fantasy of the child as both noble savage and embryo good citizen, to see that the Jungle Books .. give their readers a vicarious experience of adventure both as freedom and as service to a just State". Sayan Mukherjee, writing for the Book Review Circle, calls The Jungle Book "One of the most enjoyable books of my childhood and even in adulthood, highly informative as to the outlook of the British on their 'native population'." The academic Jopi Nyman argued in 2001 that the book formed part of the construction of "colonial English national identity" within Kipling's "imperial project". In Nyman's view, nation, race and class are mapped out in the stories, contributing to "an imagining of Englishness as a site of power and racial superiority." Nyman suggested that The Jungle Book's monkeys and snakes represent "colonial animals" and "racialized Others" within the Indian jungle, whereas the White Seal promotes "'truly English' identities in the nationalist allegory" of that story. Swati Singh, in his Secret History of the Jungle Book, notes that the tone is like that of Indian folklore, fable-like, and that critics have speculated that the Kipling may have heard similar stories from his Hindu bearer and his Portuguese ayah (nanny) during his childhood in India. Singh observes, too, that Kipling wove "magic and fantasy" into the stories for his daughter Josephine, and that even critics reading Kipling for signs of imperialism could not help admiring the power of his storytelling. The Jungle Book came to be used as a motivational book by the Cub Scouts, a junior element of the Scouting movement. This use of the book's universe was approved by Kipling at the request of Robert Baden-Powell, founder of the Scouting movement, who had originally asked for the author's permission for the use of the Memory Game from Kim in his scheme to develop the morale and fitness of working-class youths in cities. Akela, the head wolf in The Jungle Book, has become a senior figure in the movement; the name is traditionally adopted by the leader of each Cub Scout pack. The Jungle Book has been adapted many times in a wide variety of media. In literature, Robert Heinlein wrote the Hugo Award-winning science fiction novel, Stranger in a Strange Land (1961), when his wife, Virginia, suggested a new version of The Jungle Book, but with a child raised by Martians instead of wolves. Neil Gaiman's The Graveyard Book (2008) is inspired by The Jungle Book. It follows a baby boy who is found and brought up by the dead in a cemetery. It has many scenes that can be traced to Kipling, but with Gaiman's dark twist. In music, the Jungle Book cycle (1958) was written by the Australian composer Percy Grainger, an avid Kipling reader. It consists of quotations from the book, set as choral pieces and solos for soprano, tenor or baritone. The French composer Charles Koechlin wrote several symphonic works inspired by the book. BBC Radio broadcast an adaptation on 14 February 1994 and released it as a BBC audiobook in 2008. It was directed by Chris Wallis with Nisha K. Nayar as Mowgli, Eartha Kitt as Kaa, Freddie Jones as Baloo, and Jonathan Hyde as Bagheera. The music was by John Mayer. The book's text has been adapted for younger readers with comic book adaptations such as DC Comics Elseworlds' story, "Superman: The Feral Man of Steel", in which an infant Superman is raised by wolves, while Bagheera, Akela, and Shere Khan make appearances. Marvel Comics published several adaptations by Mary Jo Duffy and Gil Kane in the pages of Marvel Fanfare (vol. 1). These were collected in the one-shot Marvel Illustrated: The Jungle Book (2007). Bill Willingham's comic book series, Fables, features The Jungle Book's Mowgli, Bagheera, and Shere Khan. Manga Classics: The Jungle Book, published by UDON Entertainment's Manga Classics imprint, was published in June 2017. Many films have been based on one or another of Kipling's stories, including Elephant Boy (1937), the Russian: Маугли (Mowgli) published as Adventures of Mowgli in the US, an animation released between 1967 and 1971, and combined into a single 96-minute feature film in 1973; Chuck Jones's made for-TV cartoons Rikki-Tikki-Tavi (1975), The White Seal (1975), and Mowgli's Brothers (1976). Many films, too, have been made of the book as a whole, such as Zoltán Korda's 1942 film, Disney's 1967 animation and its 2016 remake, and the 1989 Italian-Japanese anime Jungle Book Shonen Mowgli. ^ "The White Seal" is set in the Pribilof Islands in the Bering Sea. ^ Originally titled "Servants of the Queen"
^ "Cavalry Horses" is set to "Bonnie Dundee". "Elephants of the Gun-Teams" fits the tune and has a similar first line to the marching song "The British Grenadiers", as does "Gun-Bullocks". "Screw-Gun Mules" is set to the tune of the English folk song "The Lincolnshire Poacher" and echoes some of its lines. ^ Darzee is the Hindi for tailor. ^ Raksha is the Hindi for defence. ^ a b c Singh, Swati (2016). Secret History of the Jungle Book. The Real Press. p. 7. ISBN 978-0-9935239-2-2. ^ a b "History of Cub Scouting". Boy Scouts of America. Retrieved 30 October 2016. A strong influence from Kipling's Jungle Book remains today. The terms "Law of the Pack," "Akela," "Wolf Cub," "grand howl," "den," and "pack" all come from the Jungle Book. ^ Rao, K. Bhaskara (1967). Rudyard Kipling's India. Norman, Oklahoma: University of Oklahoma Press. ^ "Kipling first edition with author's poignant note found". BBC New. 8 April 2010. Retrieved 26 February 2013. ^ Gilmour, David (2003). The Long Recessional: the Imperial Life of Rudyard Kipling. Pimlico. ISBN 0-7126-6518-8. ^ Hjejle, Benedicte (1983). Fddbek, Ole; Thomson, Niels (eds.). "Kipling, Britisk Indien og Mowglihistorieine" [Kipling, British India and the Story of Mowgli]. Feitskrifi til Kristof Glamann (in Danish). Odense, Denmark: Odense Universitetsforlag. pp. 87–114. ^ Flood, Alison (31 May 2013). "Rudyard Kipling 'admitted to plagiarism in Jungle Book'". The Guardian. Retrieved 31 May 2013. ^ a b Slater, John (23 March 2007). "Seeonee: The Site of Mowgli's Jungle?". The Kipling Society. Retrieved 14 December 2017. ^ "P. W. I." (September 1969). "REPORT ON DISCUSSION MEETING of Feb. 19th" (PDF). Kipling Journal. Retrieved 7 September 2018. 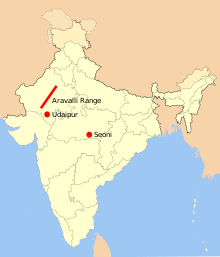 ^ "Climate: Sivani (Madhya Pradesh)". Climate-Date.org. Retrieved 15 December 2017. ^ Andres, Trisha (15 April 2016). "The Jungle Book: 5 best tours to Rudyard Kipling's India". The Telegraph. Retrieved 11 December 2017. ^ "The White Seal". The Kipling Society. Retrieved 30 October 2016. ^ "Elephant Boy (1937) - Robert Flaherty, Zoltan Korda - Synopsis, Characteristics, Moods, Themes and Related - AllMovie". AllMovie. ^ "The Musical Settings of Kipling's Verse" (PDF). The Kipling Society. 16 May 2015. Retrieved 30 October 2016. ^ "The Jungle Book - With Illustrations by John Lockwood Kipling & Others". Victoria and Albert Museum. Retrieved 16 December 2017. ^ "ti:The Jungle Book au:Rudyard Kipling". WorldCat. Retrieved 20 December 2017. ^ "The Jungle Book, Rudyard Kipling". WorldCat. Retrieved 16 December 2017. ^ a b c d e f Underwood, F. A.; Radcliffe, John (30 July 2008). ""Mowgli's Brothers"". Kipling Society. Retrieved 16 December 2017. ^ Mason, Philip (1975). Kipling - The Glass, the Shadow and the Fire. Jonathan Cape. p. 171. ISBN 978-0224011280. ^ Laski, Marghanita (1987). From Palm to Pine, Rudyard Kipling at Home and Abroad. Sidgwick and Jackson. p. 124. ISBN 978-0283994227. ^ Kemp, Sandra (1988). Kipling's Hidden Narratives. Basil Blackwell. p. 12. ISBN 978-0631155775. ^ Wilson, Angus (1977). The Strange Ride of Rudyard Kipling. Secker & Warburg. p. 122. ISBN 978-0712659277. ^ Carrington, Charles (1955). Rudyard Kipling: His Life and Work. Macmillan. p. 208. ^ Montefiore, Jan (2011). Booth, Howard J. (ed.). Kipling as a children's writer and the Jungle Books. The Cambridge Companion to Rudyard Kipling. Cambridge University Press. pp. 95–109. ISBN 978-1-107-49363-6. ^ Mukherjee, Sayan. "Book: The Jungle Book". Book Review Circle. Retrieved 30 October 2016. ^ a b c d e f g Nyman, Jopi (2001). "Re-Reading Rudyard Kipling's 'English' Heroism: Narrating Nation in The Jungle Book". Orbis Litterarum. 56 (3): 205–220. doi:10.1034/j.1600-0730.2001.d01-44.x. ^ "Biography: Robert A. Heinlein". Heinlein Society. ^ "1962 Award Winners & Nominees". Worlds Without End. Retrieved 27 July 2009. ^ "Journal: The Graveyard Book". Neil Gaiman's Journal. 13 February 2008. ^ "CD Review. Percy Grainger. Jungle Book". Classical Net. Retrieved 30 October 2016. ^ "BBC Press Office - new releases". bbc.co.uk. 25 July 2008. Retrieved 4 June 2016. ^ "Diversity Website - Radio Plays - The Jungle Book". suttoelm.org.uk. Retrieved 4 June 2016. ^ Superman Annual. DC Comics. 1994. ^ "The Jungle Book". Fanfare #8–11, 64 pages. Marvel. April 2007. ^ SPH Magazines (2007). GameAxis Unwired. SPH Magazines. p. 78. ISSN 0219-872X. ^ "Elephant Boy (1937) - Robert Flaherty, Zoltan Korda - Synopsis, Characteristics, Moods, Themes and Related - AllMovie". AllMovie. Retrieved 16 December 2017. ^ Smith, Patrick (15 April 2016). "We don't wanna be like you: how Soviet Russia made its own, darker Jungle Book". The Telegraph. Retrieved 16 December 2017. ^ "Rikki-Tikki-Tavi (TV 1975)". IMDb. Retrieved 12 April 2013. ^ "The White Seal (TV 1975)". IMDb. Retrieved 12 April 2013. ^ "Mowgli's Brothers (TV 1976)". IMDb. Retrieved 12 April 2013. ^ "Jungle Book (1942)". British Film Institute. Retrieved 16 December 2017. ^ "The Jungle Book". Box Office Mojo. Retrieved 16 December 2017. ^ "The Jungle Book" (PDF). Disney. Retrieved 4 January 2018. ^ "Mondo tv S.P.A - LIBRARY The jungle book". Retrieved 18 March 2017. ^ "Stuart Paterson – complete guide to the Playwright and Plays". Retrieved 16 December 2017.